Maggie Pill Mysteries: What's an Algorithm Anyhow? Amazon is the best friend a writer can have, and the worst enemy. Sometimes both at once. Amazon allows us to present our books to the world, but it presents them it its own terms. Amazon's Algorithms, things I have little grasp of, choose which additional books to show to visitors to a site in the form of "YOU MIGHT LIKE..." It's a great thing to be chosen this way, because people who never heard of you before are offered your book without even hunting for it. On the other hand, if the algorithms don't latch onto you, you're probably going to forever remain in obscurity. 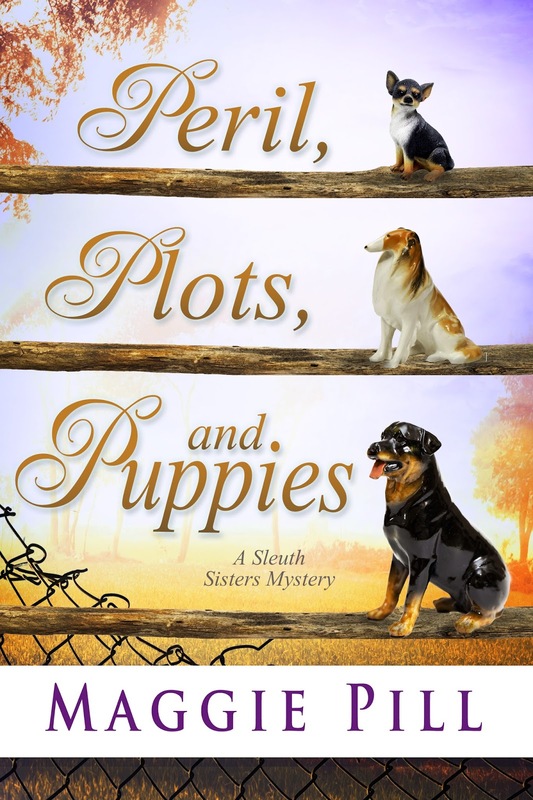 The Sleuth Sisters are (Choose one: A) Lucky, B) Amazing, C) Specific) enough to have gained the attention of the AAs. I often get recommendations to buy Maggie Pill's books when I go on as Peg Herring. That's great, and as long as the newest installment rises high enough in some rankings (Amazon has a ton of them), people see older titles on the page as they consider what to buy next. What's hard to understand sometimes is why they think I would like a book. 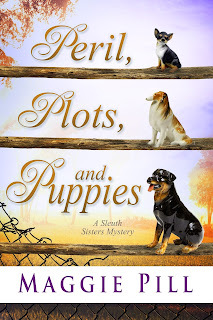 This morning, for example, when I visited PERIL, PLOTS, and PUPPIES to check its ratings, I got the following recommendations: a book of short stories, a Seattle cozy (I get that), a thriller about Nazis (I'm thinking Barb being the Grammar Nazi brought that on), a thriller about Washington politics, and a mystery set during the English Regency. How do those relate to three sisters in Michigan? I'm sure the algorithms know more about it than I do, but it seems like a crazy stew to me. March Is Release Month for SS#6!